Shedding Light on Shoulder Replacement Surgery | Podiatry Associates, P.C. When a light bulb no longer works, it can sometimes affect our ability to go about our daily life. We may have a harder time seeing where we’re going, identifying what’s in the refrigerator, or reading easily, for example. So what do we do? We replace it with a new one. Then, everything gets back to the way it was. So, when chronic shoulder pain can’t be resolved with conservative measures and it’s affecting your quality of life, shoulder replacement surgery makes sense. By replacing the damaged joint with a new, manufactured one, things can get back to the way they once were—and you can enjoy life without pain again. Shoulder pain can be caused by a number of factors. The inflammation brought on by rheumatoid arthritis can damage cartilage and result in pain and stiffness. Post-traumatic arthritis can develop after a serious injury, limiting range of motion. Both of these conditions can benefit from a replacement procedure. 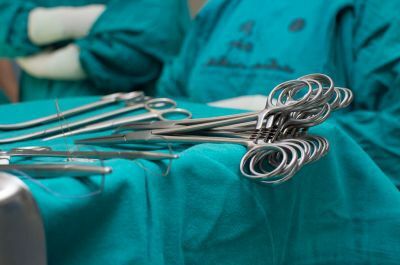 This type of surgery can also alleviate long-term symptoms of a torn rotator cuff or severe fracture, as well as shoulder pain caused by a previous surgery or by a condition called avascular necrosis, in which blood supply to the joint is disrupted. Your shoulder is a ball and socket joint. The top part of your upper arm bone is shaped like a ball that fits into the cup-like shape of your shoulder bone. If the ends of these bones are damaged, they no longer fit well together, resulting in pain and inflammation. With shoulder replacement surgery, the end of the damaged bones are removed and replaced with plastic or metal parts, called prostheses, and held in position often times by cement or by simply pressing into the bone and allowing it to grow into the joint. Usually, the top of the upper arm bone is replaced with a metal ball on a stem while the socket is smoothed and capped with a plastic or metal cup. Sometimes, however, when there is muscle damage surrounding the joint, a reverse procedure is necessary. In this case, the rounded ball is attached to the socket area of the shoulder bone, while the cup-shaped piece is positioned on the upper arm bone. Success of the surgery depends greatly upon how well you adhere to post-operative instructions. Pain medication will likely be prescribed and you will have to wear a sling. You should not use your arm too much, especially to lift anything heavy. Physical therapy is key to recovering from a shoulder replacement and begins right away with simple exercises and stretches that gradually increase. This will help speed up the recovery process and get you back to your regular activities faster. As you build strength and restore mobility and function, keep in mind that your shoulder will likely have some limits. Refrain from putting excessive amounts of stress upon it. Frequent follow-up visits are recommended to monitor healing and ensure everything is going smoothly. For more information on relieving shoulder pain with surgery, feel free to contact Dr. Jennifer Molner of Castle Pines Physical Therapy in Castle Pines, CO. You can reach us by calling (303) 805-5156.